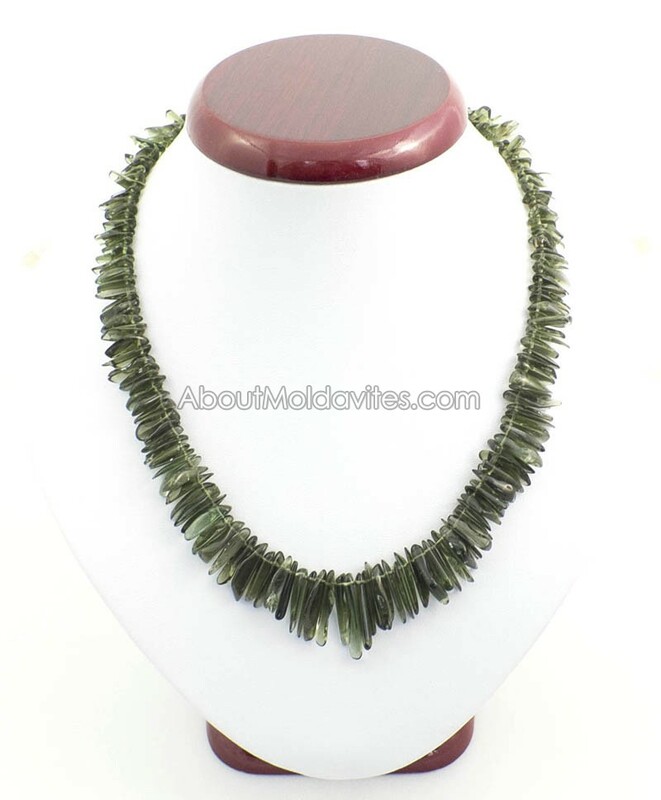 Can you imagine the feeling from wearing of the fascinating necklace?The necklace is made from 176 tumbled (polished) small moldavites with flat and needle-like shape. 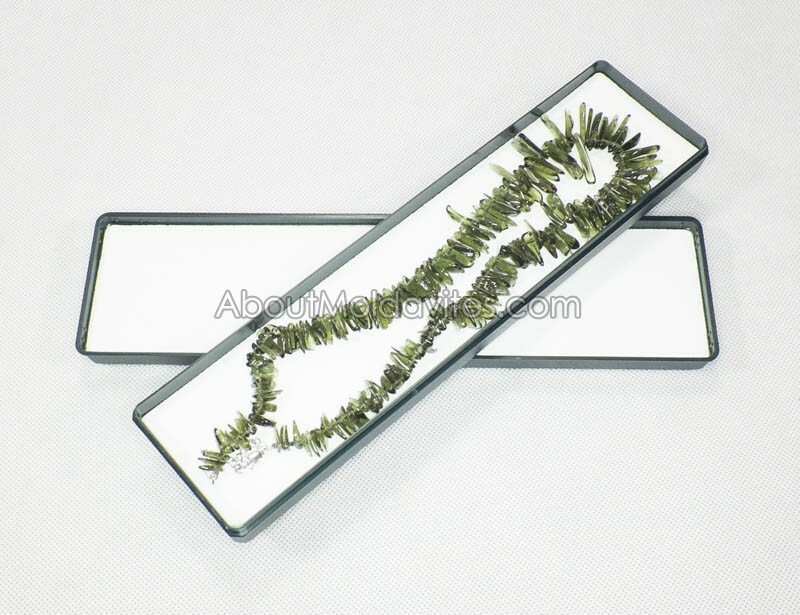 Length of the moldavites is from 10 to about 20 mm (moldavite average size is ½”). Total weight is over 42gram (210 carats). Length is adjustable from 420 to 480mm (16.5 – 19”). 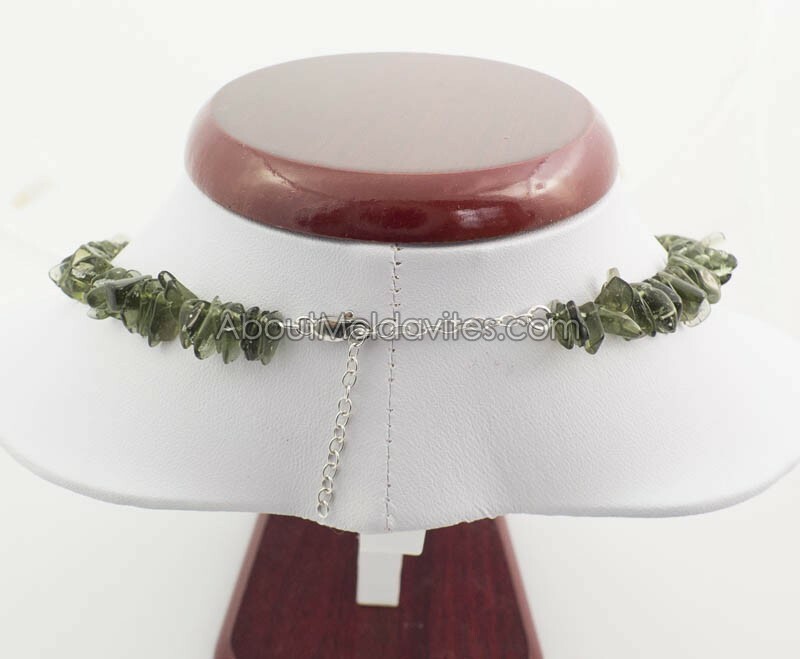 The necklace has silver fastening. 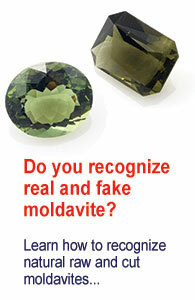 If you believe in moldavite energy, can you imagine the power?